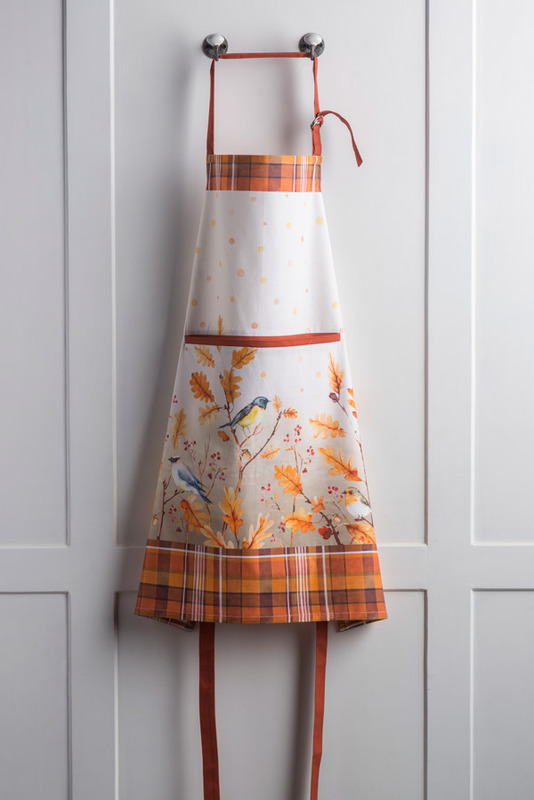 No other season brings great joy to us like autumn. 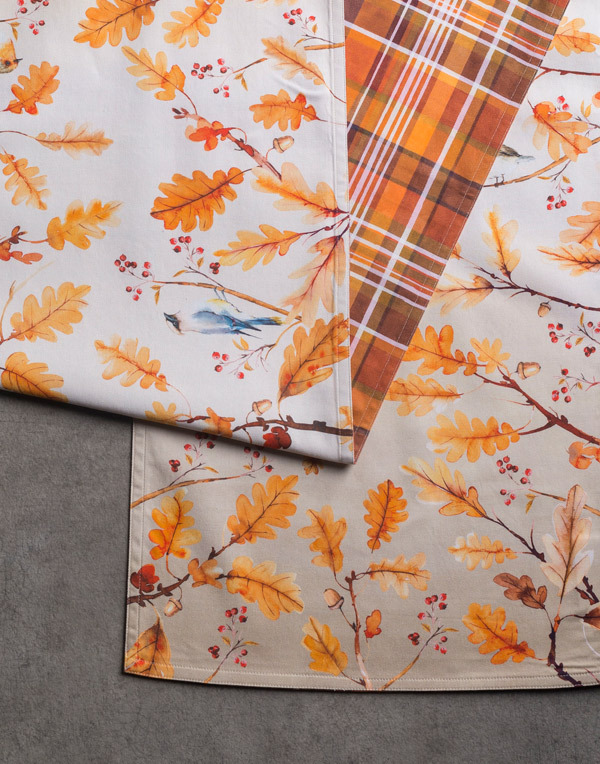 Add beautiful autumnal colors to your home with our Oak Leaves collection, which is all about celebrating autumn and its unique appeal. 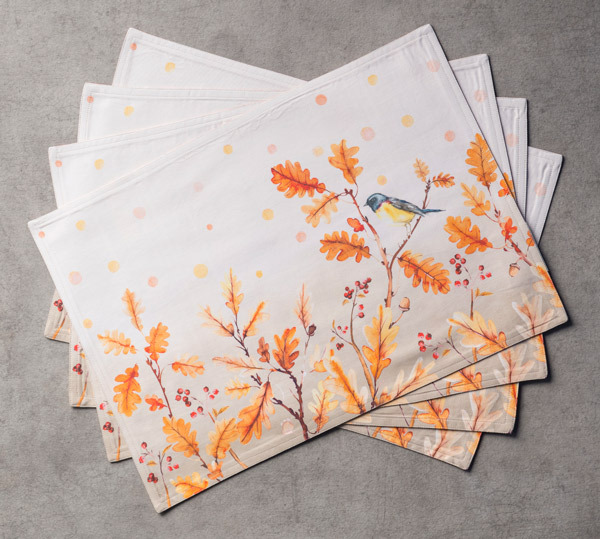 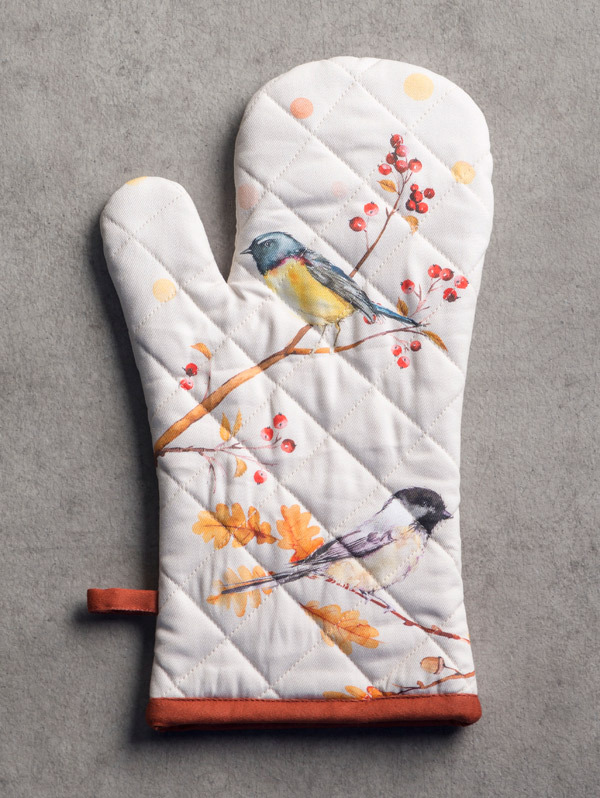 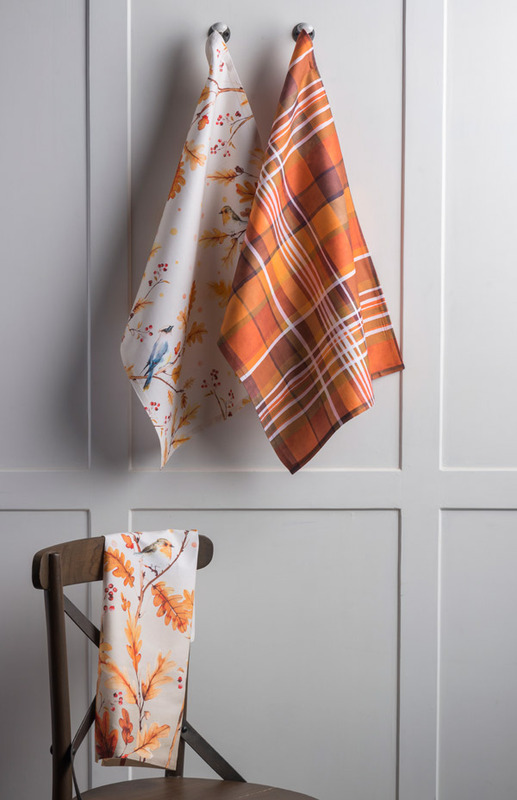 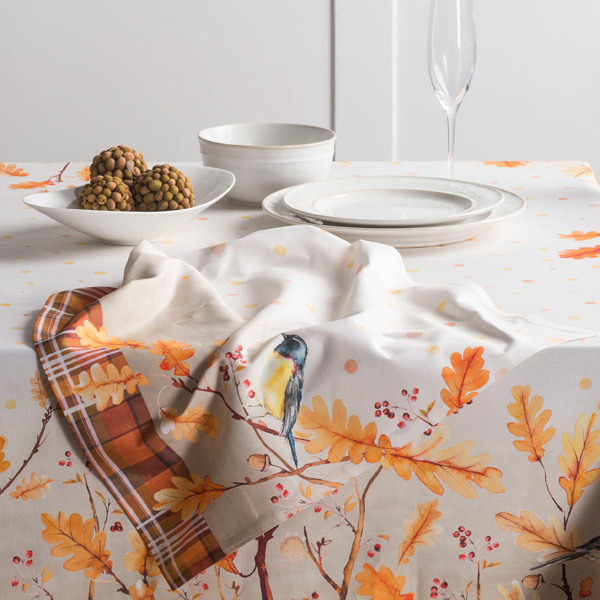 Replete with autumn colours, the Oak Leaves collection features birds flitting between trees as the chilly weather starts setting in. 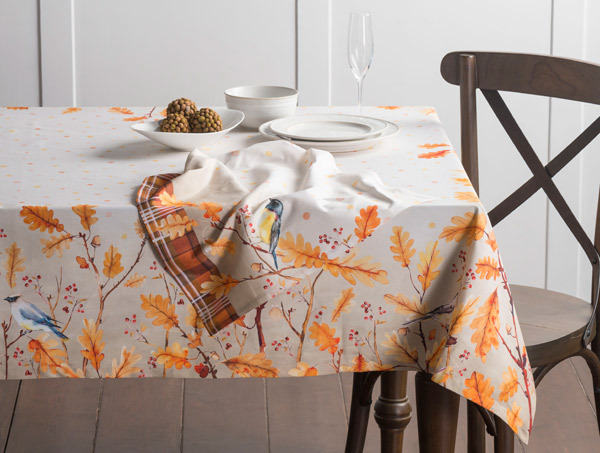 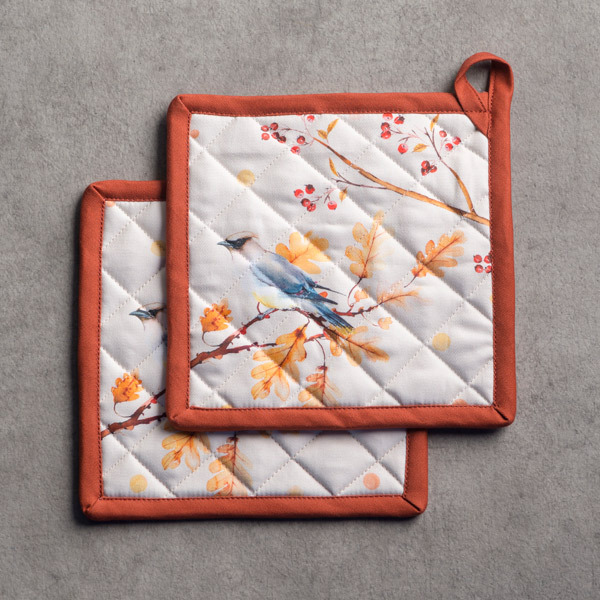 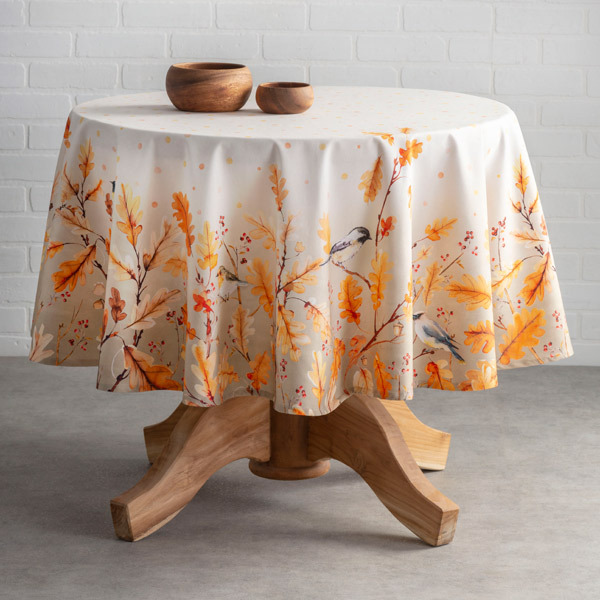 Made from 100% cotton, each piece in this special Thanksgiving collection pays tribute to the glorious autumn season. 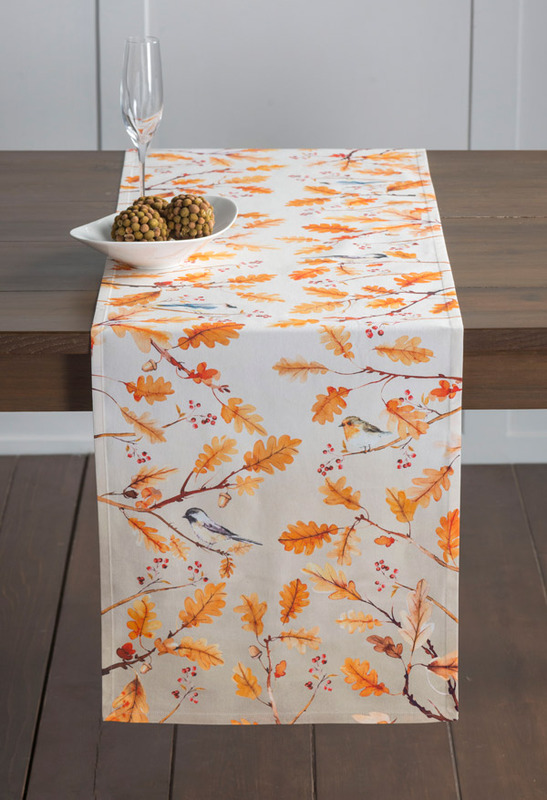 Reddish orange leaves, colorful seasonal birds as well as the majestic oak tree are all guaranteed to please the autumn admirer in you.